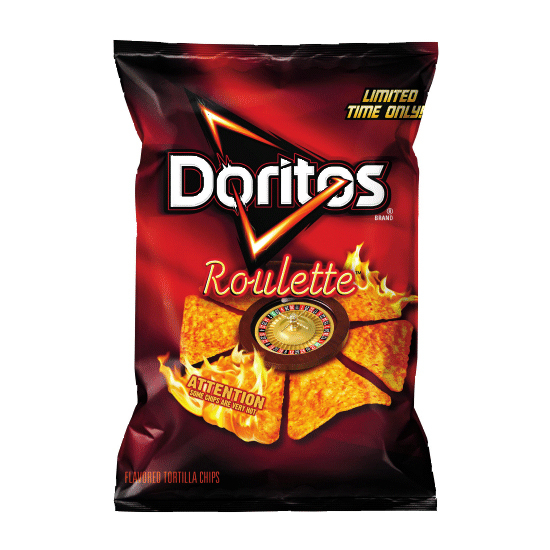 After successful stints in Canada, Mexico and several other countries, this is the first time Americans will be able to play games of chance with their taste buds. And while the powers that be expect Americans to buy plenty of spicy chips, we think this could really ruin Doritos’s reputation as a primo stoner snack. Is anything more likely to bring out pot-induced paranoia than the possibility that your munchies might, at any moment, burn off your taste buds? We think not. In addition to the chips, risk-seeking Doritos lovers can also win prizes during live games on the Doritos Periscope page—probably the first chip-based contest to come to the new social media platform. But as for us, we’d rather just know our food is spicy right up front. What Lurks Inside Your Favorite Snacks?